Richard Hoefer, PhD, MSW, demonstrates that advocacy is a key tool in achieving social justice at all levels of practice, and he argues that social workers have an obligation not only to actively advocate but to empower others to do so as well. Using evidence-based information, anecdotes, case studies, and his own personal experiences, Hoefer presents the ethical imperative for advocacy. 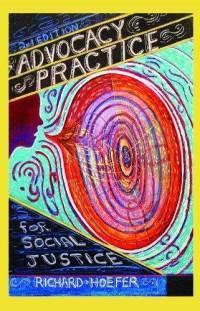 Advocacy Practice for Social Justice shows that rather than being an ancillary or subordinate practice within an existing social work practice, the process of advocating is composed of basic steps familiar to all social workers in generalist practice. Successful advocacy begins with establishing a relationship with the client, continues with the creation and implementation of a plan of action, and ends with short- and long-term evaluation. Hoefer’s clear step-by-step design acts as a blueprint for advocacy that can be incorporated into any existing practice.